This is genius. 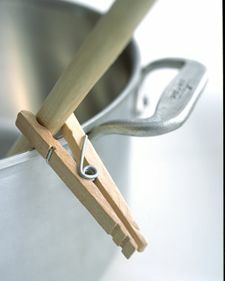 The peg holds the toothbrush and gets the head of the toothbrush up and off the bench between uses. You could write the person’s name on the side of the peg too to save confusion. I love this one. No more lost spoon in the pot or messy patch on the bench from the wooden spoon. Roll and clip packets of cereal, crackers or chips to keep them fresher for longer. Also works well with bread or peas in your freezer! Keep all your receipts together! Works well for bills and school notes as well. Because you can never have too many scarfs! At least this way you can clearly see what your choices are instead of rummaging through the drawer. This is a godsend. No more knots and twists in the cord. Say goodbye to dribbles down the inside of the bin with this simple and very effective idea. Goodbye stinky bin! My son uses this simple idea as his bookmark. Never lose your page again as the bookmark won’t fall out! Happy Birthday favour bags have never looked so stylish. 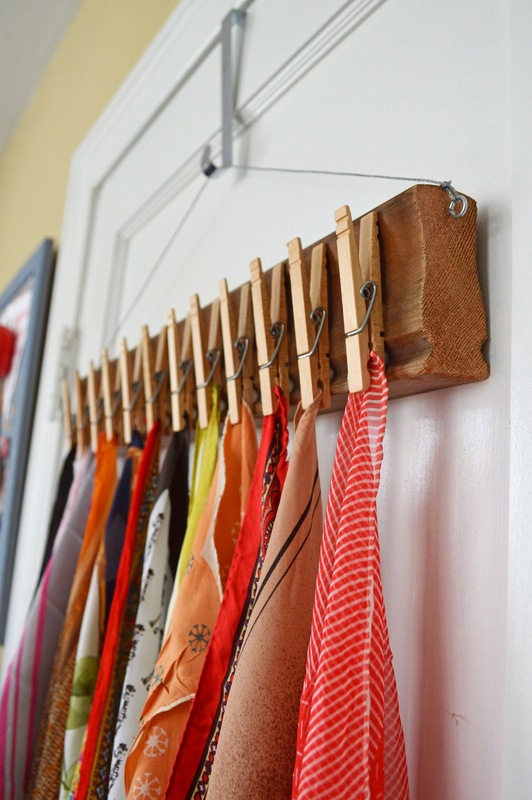 Keep everything safe inside with a clothes peg on top. This is one of my favourites – no more hitting your finger with the hammer. The peg allows you to hold the nail steady and in place. Our skirt/pant hangers seem to grow legs and disappear at our house. This idea is super helpful when this happens. Oh yes!! I have one of these on my change table!